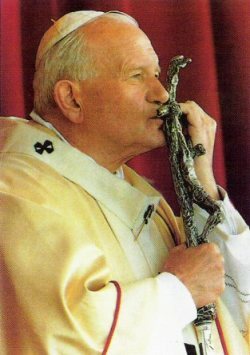 Roman Catholic Identity: Church Closed for Holiday - I Just Don't Get It! I just don't get it! I don't understand! Stuff like this makes me shake my head in bewilderment. I intended to write a brief commentary this past solemnity of Mary, Mother of God on January 1st. I was reminded and prompted once again this past weekend. 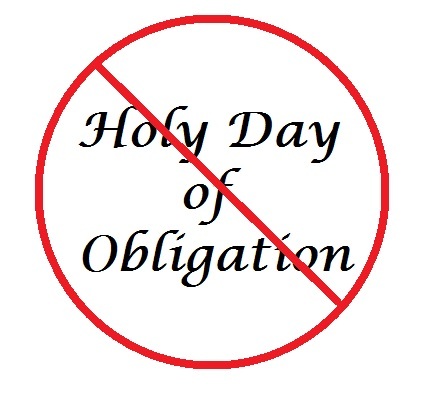 I was struck by an announcement at Mass the Sunday after Christmas which said, "This coming Saturday is not a holy day of obligation, therefore we will follow the usual Saturday Mass schedule" (or pretty close to that effect). Period. In 1992 the USCCB issued a decree that whenever January 1, the solemnity of Mary, Mother of God, or August 15, the solemnity of the Assumption, or November 1, the solemnity of All Saints, falls on a Saturday or on a Monday, the precept to attend Mass is abrogated. 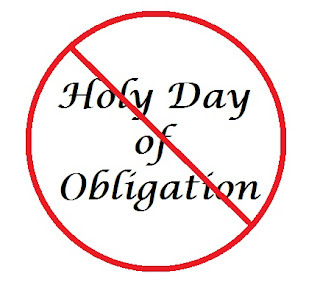 Basically if the holy day of obligation falls on a Saturday or a Monday, it is not a holy day of obligation. Ironically this decree by the USCCB was approved by the Vatican on July 4th. The US was once again declaring independence--but this time is was from the oppressive dictatorship of obligatory worship! Evidently the US Catholic bishops thought [think] it is too burdensome for Catholics to attend Mass 2 days in a row! I think this attempt at pastoral sensitivity fails and sends a contradictory message. Either a day is holy and our worship sanctifies our time and conforms and orientates us toward the Holy, or it does not. What does it matter where the day falls. The announcement I heard at my parish basically told people to stay home, you don't have to come. The decree of the USCCB aside, perhaps a better announcement may have sounded like this: "This Saturday is the Solemnity of Mary, Mother of God. Though the Solemnity falls on a Saturday and is not a holy day of obligation this year [this even sounds absurd while I'm typing this], we invite and encourage you to sanctify the first day of the year..."[you get the picture]. The Rectory Office will be closed on Monday, January 17th in observance of the Martin Luther King, Jr. Holiday. There also will be no Eucharistic Adoration on Monday, January 17th. Holiday Schedule… Monday is a holiday, Martin Luther King Day. 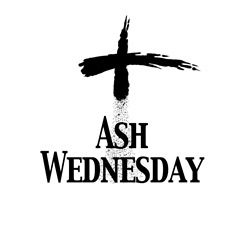 The Parish Offices are closed and there is no daily Mass. The Church, Chapel and Rectory Office will not be open on Monday, January 17th in observance of Martin Luther King, Jr. Day. What on earth does any secular holiday have to do with the sacramental life of the Church? It is perfectly understandable that the parish office would be closed, but why the church, why no Mass? The priest can't unlock the church on a day the sexton is off? Isn't the priest going to celebrate Mass? Perhaps there would be more people inclined to attend a weekday Mass if they were not obligated to got to work. Or if someone had the day off perhaps they would spend some time in adoration...but not if the church is locked. I can't think of any good reason. "The Holy Mass is the source and summit of the Christian life...but not tomorrow...we're closed".